A friend lent me this movie. He said, "A lot of people didn't like it, but I really enjoyed it." I left it on my shelf for about a month and a half. When I finally got round to watching it, my expectations were suitably low, and if you're planning to watch it too, then I recommend you do the same. 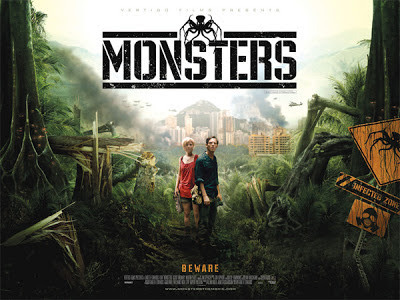 It's a low budget flick - a project where the Director/Producer/Writer Gareth Edwards took a crew of six, plus two actors, on a road trip through Mexico and Guatemala and filmed a rambling movie. Author of Apocalyptic and Post-Apocalyptic fiction. Welcome to my website.